Built rugged, tough and ready for the job, this boot features a composite safety toe and puncture resistant midsole for ultimate protection. Available in Men's sizes 8-14 (half sizes in 9.5, 10.5 and 11.5 only). TRACTION // SnowTrac Winter Rubber Lug and IceTrac Studded Rubber Lug with carbide studs (32 studs/pair). WATERPROOF // 100% Waterproof construction includes waterproof/breathable bootie, waterproof leather, webbing, and stitching keeping the foot bone dry. INSULATED // with 400g of 3M™ Thinsulate™ insulation, including underfoot placement for the ultimate warmth during intense winter conditions. DURABLE // Molded Toe Cap & Heel for durability and protection with protected stitching for prolonged thread life and abraision resistence. CLOSURE SYSTEM // Standard lacing system with speed hooks for tuning the right fit. I work as an oil/propane tech in Bangor Maine I also drive delivery and set tanks .We do this in the rain ,snow, and ice subzero 24/7. It is required that we wear safety toe and it strongly suggested we use cleats on ice.These boots have kept my feet warm and dry in standing water,10 below for an 18 hour shift. Built for the job. 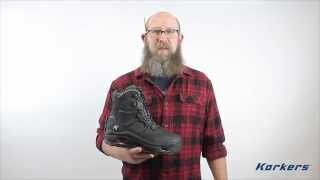 Best winter safety boot ever! 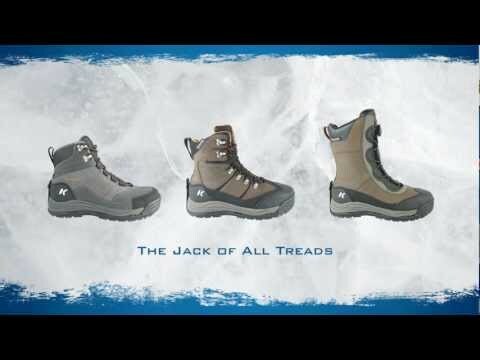 The SnowJack Pro has more safety features than any other winter safety boot available. Along with being insulated and waterproof, the boots has a composite safety toe and puncture resistant plate in the midsole. The changeable outsoles allow the user to put on a metal studded sole for icy conditions, so no slip falls here in snowy and icy Vermont!